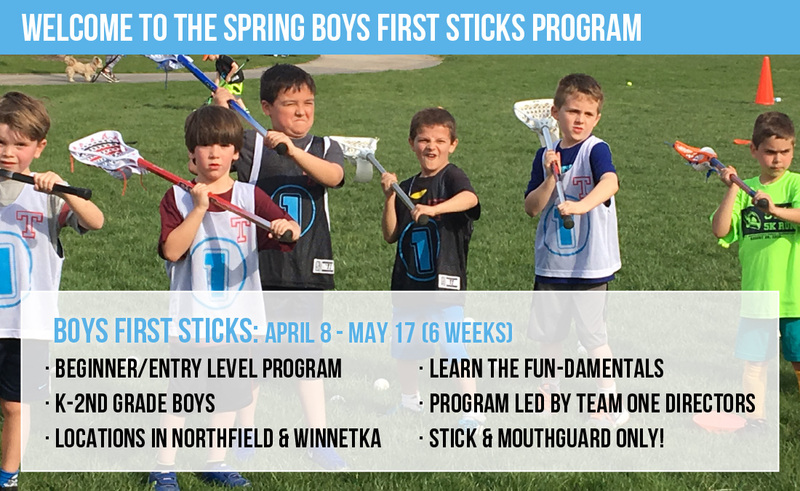 First Sticks is an entry level program perfect for K-2nd Grade Boys who want to learn the fundamentals of lacrosse in a fun training environment. Locations in Northfield & Winnetka this Spring! Is your 2nd Grader looking for a more competitive option w/ league play? Check out the North Shore United! *North Shore United is a community travel team run by Team ONE Lacrosse in the Spring Season only! Boys First Sticks is an entry level program based around a specific curriculum intended to teach players the fundamentals of boys lacrosse while allowing them to play alongside other lacrosse players in a fun and safe environment! Age appropriate program curriculum - a proven way to learn the game! Learn the fundamentals of lacrosse! Non contact environment - focus on fun and fundamentals! Team ONE Boys Directors run the program! CLICK HERE TO REGISTER FOR 2019 SPRING GIRLS FIRST STICKS!